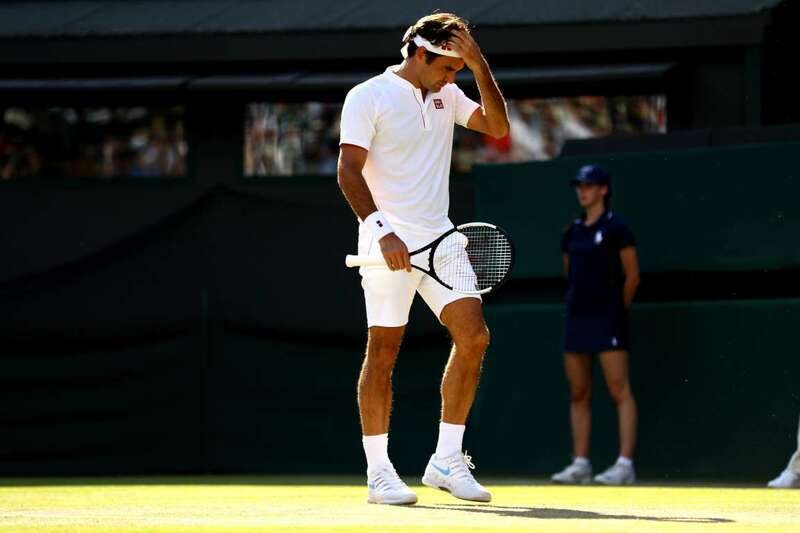 Roger Federer wipes his forehead against Kevin Anderson during their singles quarterfinal match of the Wimbledon Championships quarterfinal match, on Wednesday in London. Anderson won 2-6, 6-7(5-7), 7-5, 6-4, 13-11. 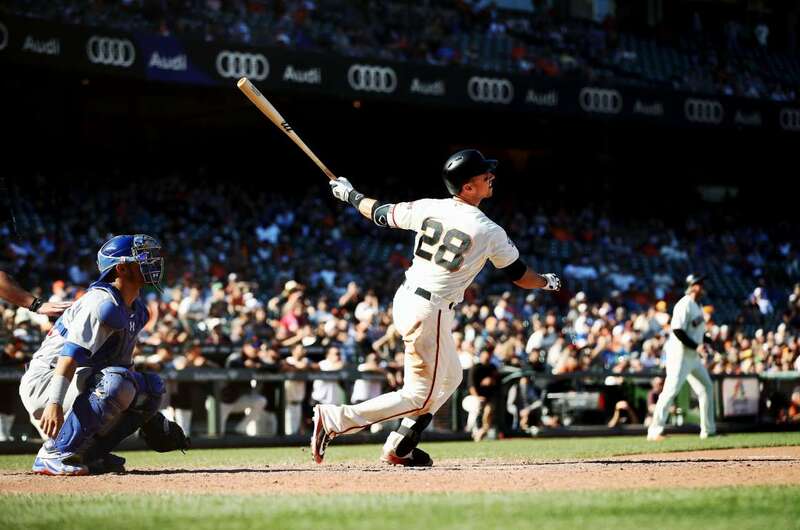 Buster Posey of the Giants hits the game winning hit in the 13th inning to beat the Cubs on Wednesday, in San Francisco, CA. The Giants won 5-4. Croatia's Mario Mandzukic scores their second goal against England on Wednesday. Croatia won 2-1. 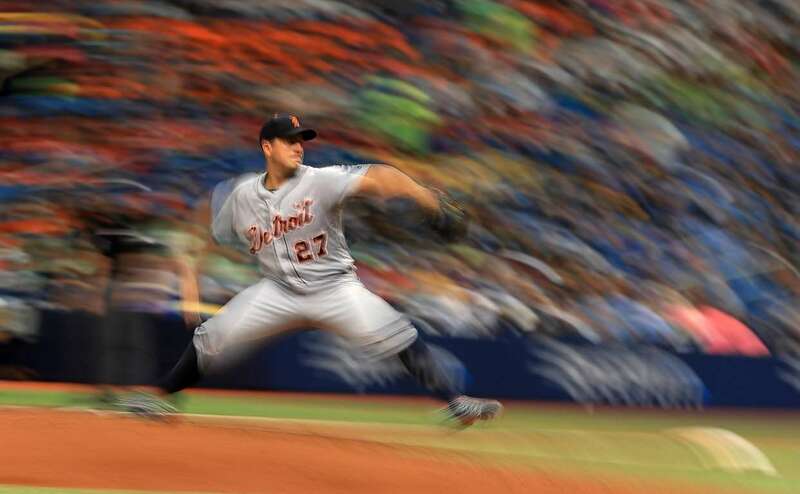 Jordan Zimmermann of the Tigers pitches during a game against the Rays on Wednesday, in St Petersburg, FL. The Rays won 4-2. 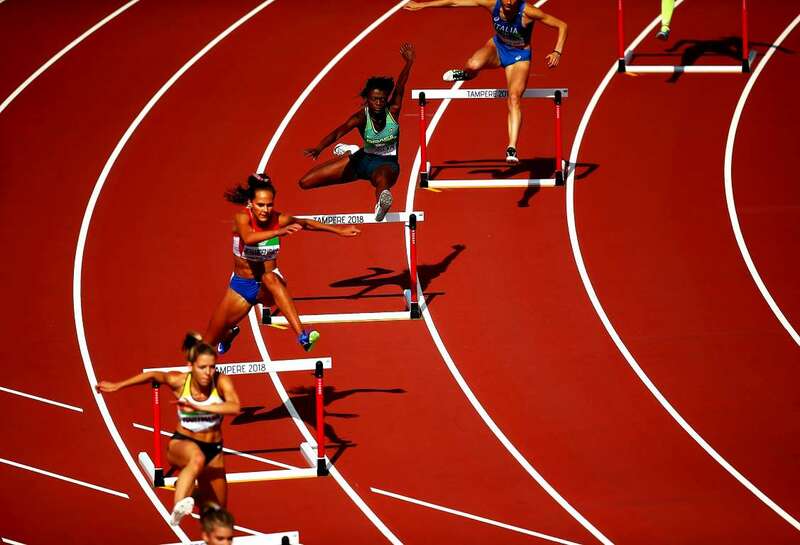 Chayenne Da Silva of Brazil jumps a hurdle during heat 4 of the women's 400m hurdles of The IAAF World U20 Championships on Wednesday, in Tampere, Finland. 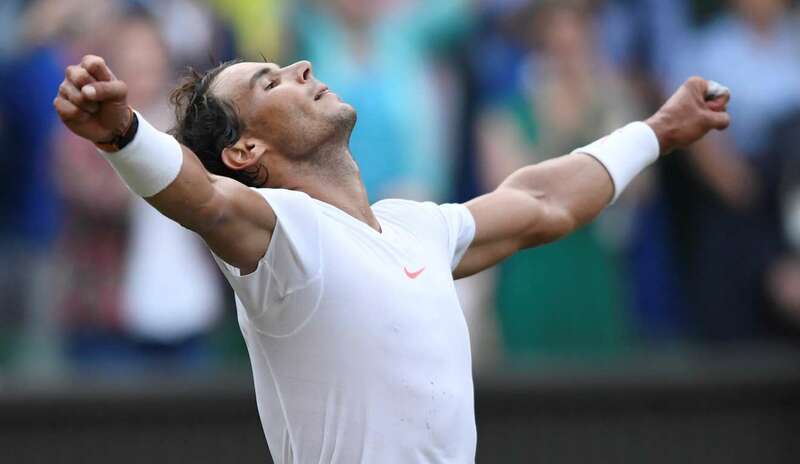 Rafael Nadal celebrates winning his quarterfinal match against Juan Martin Del Potro during the Wimbledon Championships, on Wednesday. Nadal won 7-5, 6-7 (7-9), 4-6, 6-4, 6-4. 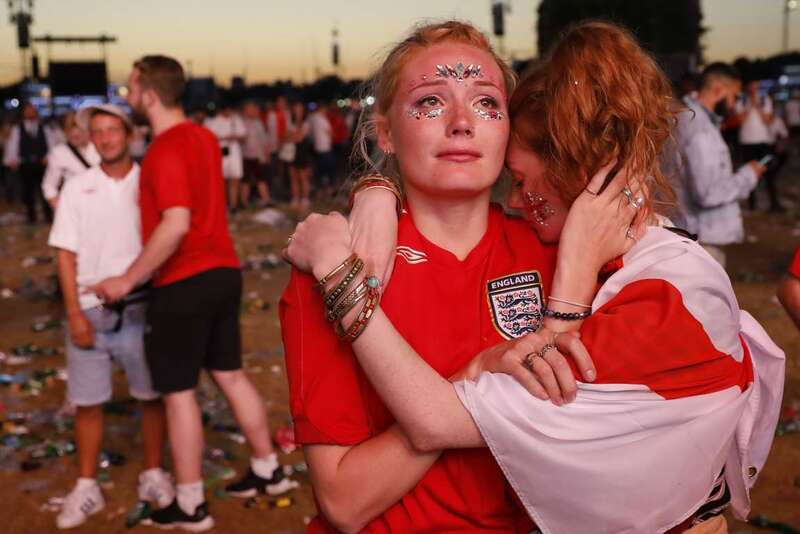 England supporters react at an outdoor screening in Hyde Park in central London as England lose the World Cup semi-final against Croatia on Wednesday in Moscow. 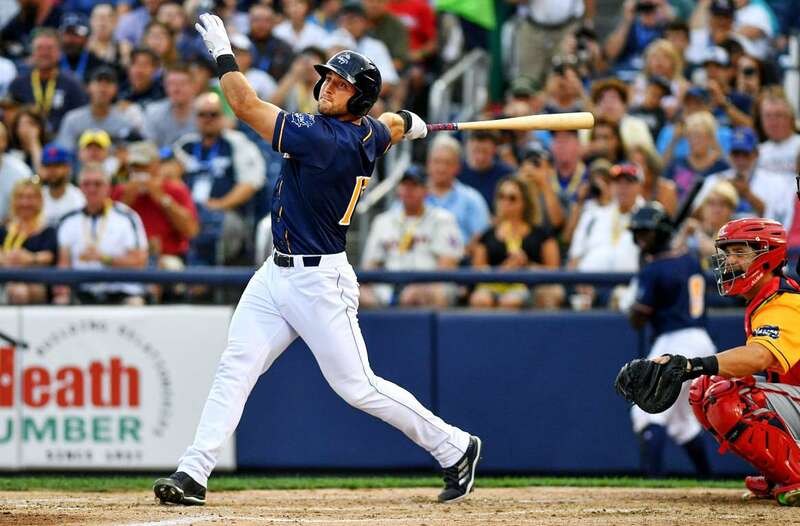 Tim Tebow of the Eastern Division All Stars at bat during the 2018 Eastern League All Star Game on Wednesday, in Trenton, New Jersey. 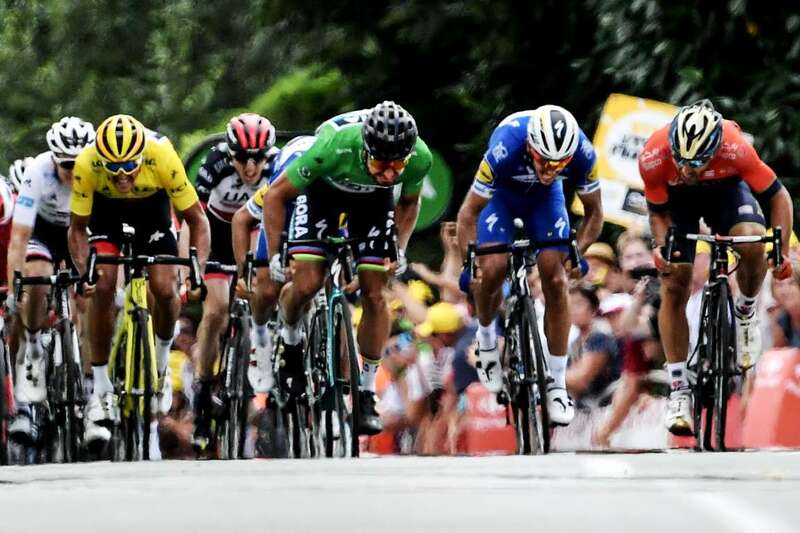 Slovakia's Peter Sagan (green jersey) sprints in the last meters to win the fifth stage of the 105th edition of the Tour de France cycling race between Lorient and Quimper, on Wednesday, in France. 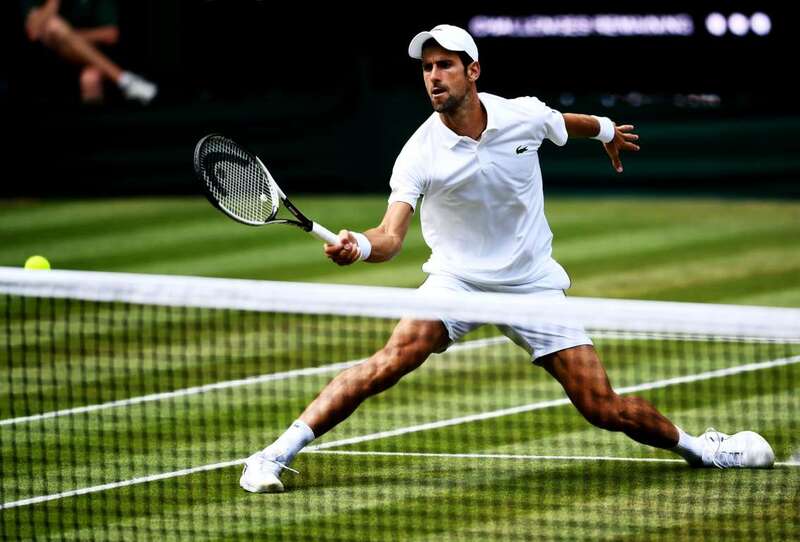 Novak Djokovic plays a forehand against Kei Nishikori during their singles quarterfinals match of the Wimbledon Championships on Wednesday, in London. Djokovic won 6-3, 3-6, 6-2, 6-2. George Springer of the Astros slams into the wall as he attempts to catch a line drive from Khris Davis (not in picture) of the Athletics in the sixth inning, on Wednesday, in Houston, TX. Davis ended up with a triple and the Athletics won 8-3. New York City FC players block a free kick by Montreal Impact midfielder Saphir Taider, on Wednesday, in New York. NYC FC won 3-0. 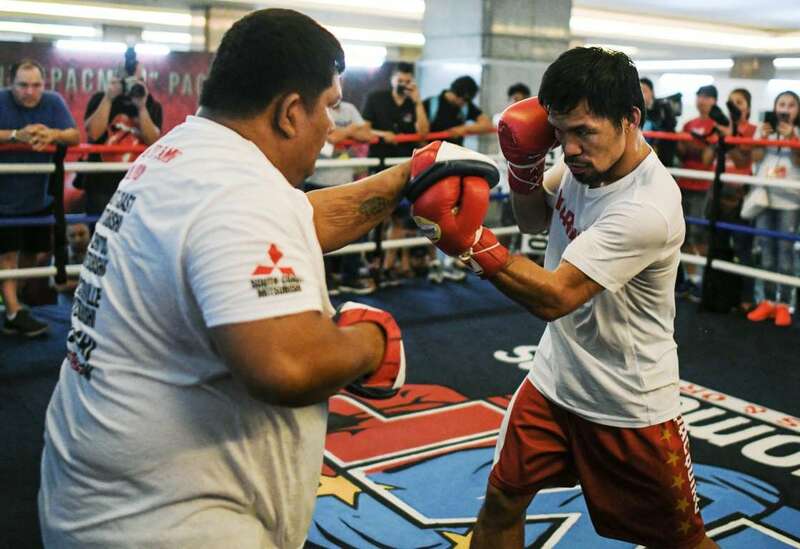 Philippine's Manny Pacquiao, right, practices during his training session at a gym in Kuala Lumpur on Wednesday, ahead of his world welterweight boxing championship bout against Argentina's Lucas Matthysse on July 15. 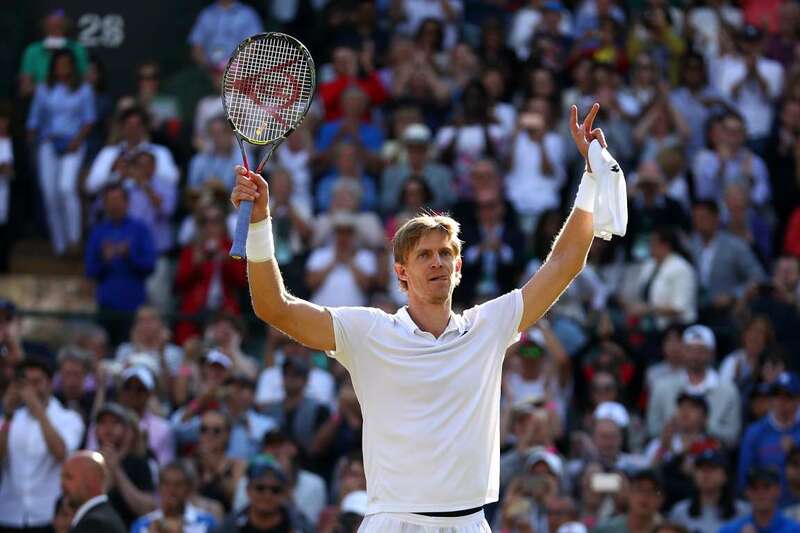 Kevin Anderson celebrates winning against Roger Federer of Switzerland during the Wimbledon on Wednesday in London. Anderson won the match 6-4, 7-6, 5-7, 4-6, 11-13. 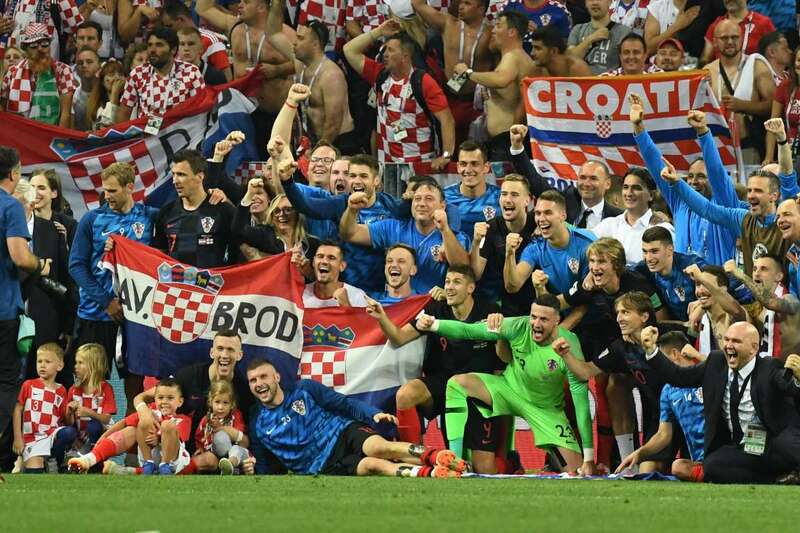 Croatia's players celebrate at the end of the World Cup semifinal football match between Croatia and England on Wednesday in Moscow. Croatia won 2-1. 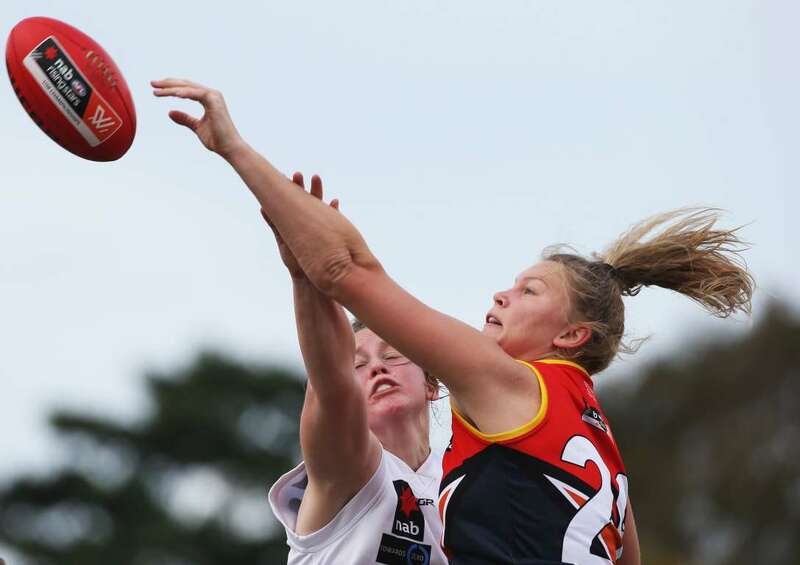 Central Allies' Montana Mckinnon competes with Amy Dunn during the AFLW U18 Championships match against Vic Country on Wednesday in Gold Coast, Australia. 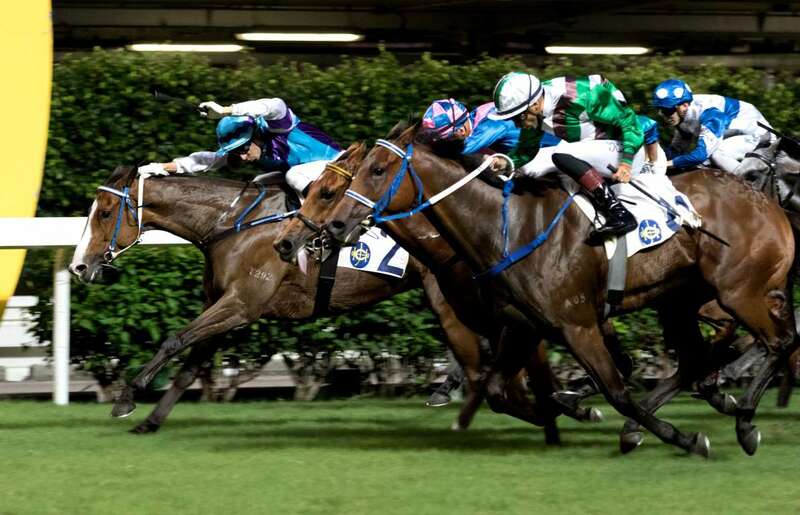 Jockey Joao Moreira riding Letsgofree wins the Race 1 Street Cat Handicap on Wednesday, in Hong Kong.